INVESTING IN OUR FUTURE. 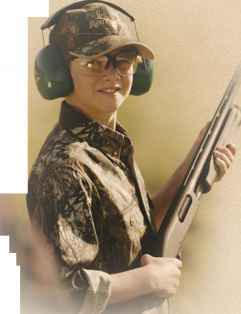 Young shooters are more likely to become stewards of the shooting sports if they're initiated with a gun that fits properly. This is what drove us to redesign our standard, premium-grade stocks with a shorter length of pull, then fit them to some of our finest, most proven rifles and shotguns. Adult shooters who require a shorter length of pull will also benefit from this downsized lineup. All Youth firearms have shortened barrels that counter-balance the lighter stock while retaining ballistic effectiveness. 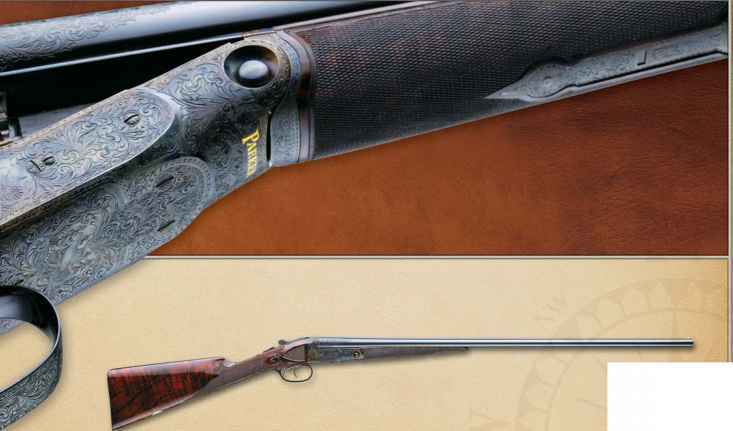 Rifles feature 20" barrels (22" on long-action offerings) and Youth shotguns have 21" barrels (20" for deer gun). Our new rimfire, the Model 412,™ is a compact single-shot that will have your youngster driving tacks in no time. This bolt action has an automatic safety for added peace of mind with new shooters and has a handy second-shot holder for convenient reloading. Features includes a hardwood stock, adjustable rifle sights and blued barrel and receiver. Receiver is grooved for scope mounting. Three centerfire rifle choices are available. The first is our compact Model Seven™ synthetic bolt action chambered for .223 Remington, .243 Win., .260 Remington, 6.8 Rem SPC and 7mm-08 Remington. The other is a Model 700 SPS™ Youth Synthetic. It's available in short action, chambered for .243 Win. or 308 Win., and a long-action model chambered for either .270 Win. or .30-06 that's specifically designed to take advantage of our new Managed-Recoil™ ammunition. All synthetic stocked Youth rifles feature the R3® recoil pad with patented Limbsaver® technology. The ultimate first centerfire, our Model 710 Youth exemplifies value, reliability and convenience. Chambered for the mild-recoiling .243 Win., it comes out of the box with a pre-mounted, boresighted Bushnell® Sharpshooter™ 3-9x 40mm scope. It's range- and woods-ready. New additions to Youth shotguns include a 20-gauge Model 870™ Express® Jr. and a Model 870 Express Youth Turkey Gun - both with Mossy Oak® Break-Up® stocks and fore-ends. We still offer the Model 870 Express Youth line, Model 870 Express® Jr., and a Model 870 Express Synthetic Youth Combo featuring a 21" vent-rib barrel and a 20" fully rifled barrel. All Jr. offerings have a 1" shorter length of pull than standard Youth models. The 20-gauge Model 11-87™ Sportsman Youth shotgun handles 2 3/4" and 3" loads and has the same stock dimensions as its pump-action counterparts. What size limbsaver slip on recoil pad for 1187 youth model 20 ga shotgun 12?